Our experienced staff has been doing this for years! We take pride in our work, and it will show. Have a particular design in mind? Bring in your template. We’ll bring your vision to life. Rock facing, Thermaling, Bullnosing. Put that finishing touch on your beautiful stonework. Want to personalize your project? What better way then a custom engraved piece? With our new state of the art machine we can now bend rebar to 180 degrees. Talk to a Route 23 Pro! With our diverse fleet, we offer the following services to the tri-state area and beyond. Contact us today for a quote! 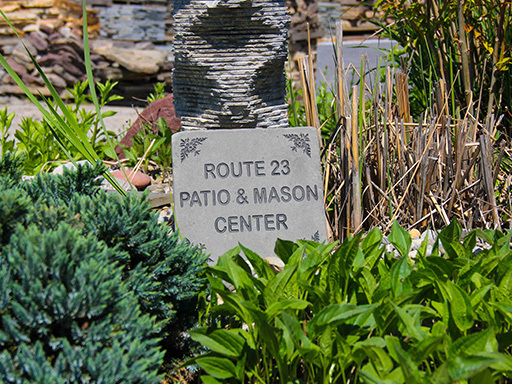 Route 23 Patio ships products all over New Jersey, New York, Pennsylvania, Connecticut, and the continental United States. Not sure if we will go there? Give us a call. Chances are we will!